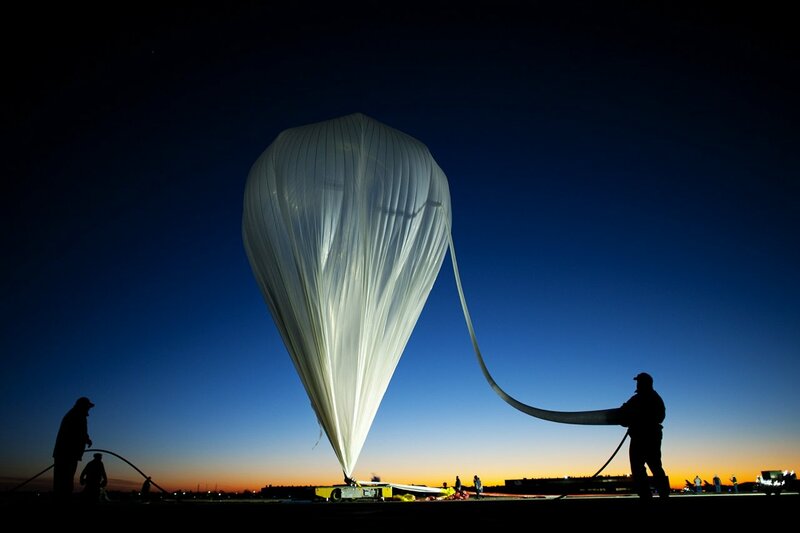 Congratulations to Alan Eustace for his efforts and achievements! Red Bull Stratos was a scientific mission to prove that humans could survive accelerating through the sound barrier in free fall and land back on earth safely. 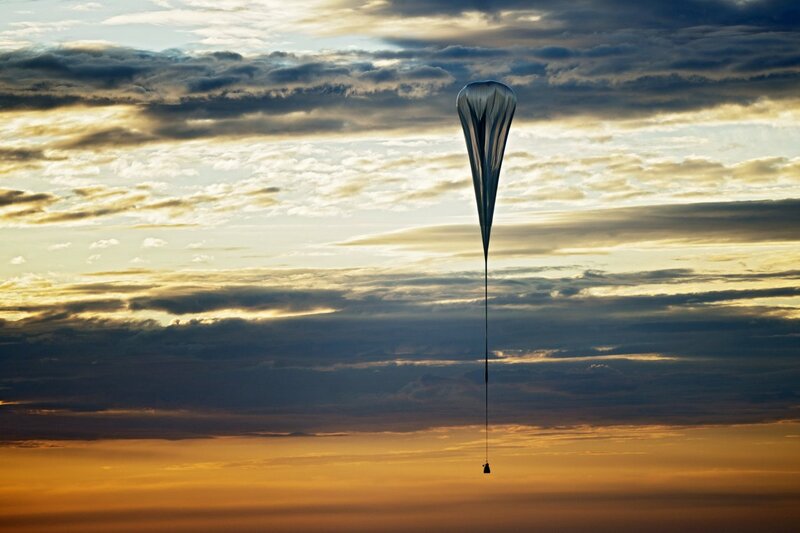 Learnings are already being applied by organizations including the US Air Force and NASA. 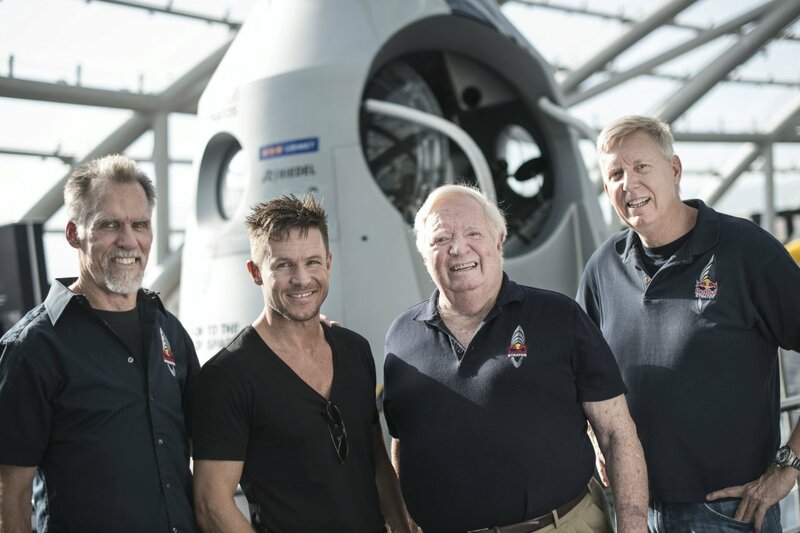 Felix Baumgartner and the program’s team of leading experts always hoped that the results of their five-year scientific flight test program would provide valuable new information and accelerate interest in aerospace science, engineering and medicine. 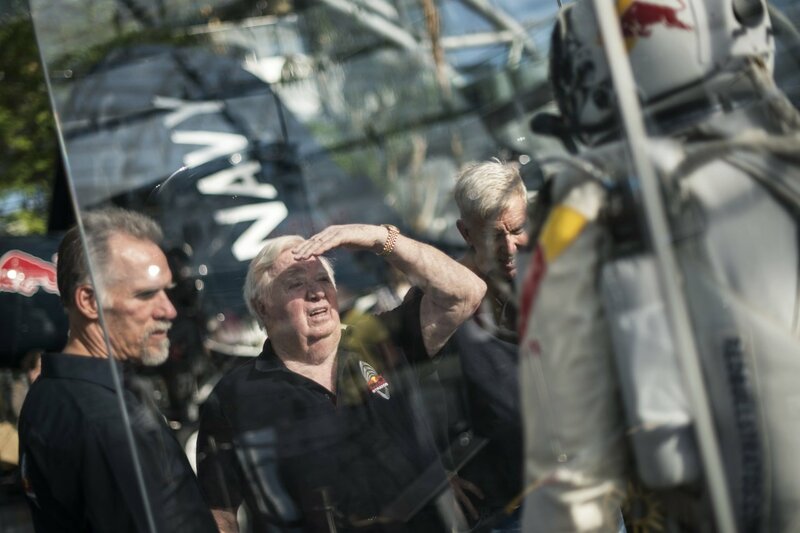 The Red Bull Stratos team hasn’t exactly been taking it easy since they completed the mission two years ago (14 Oct 2012). 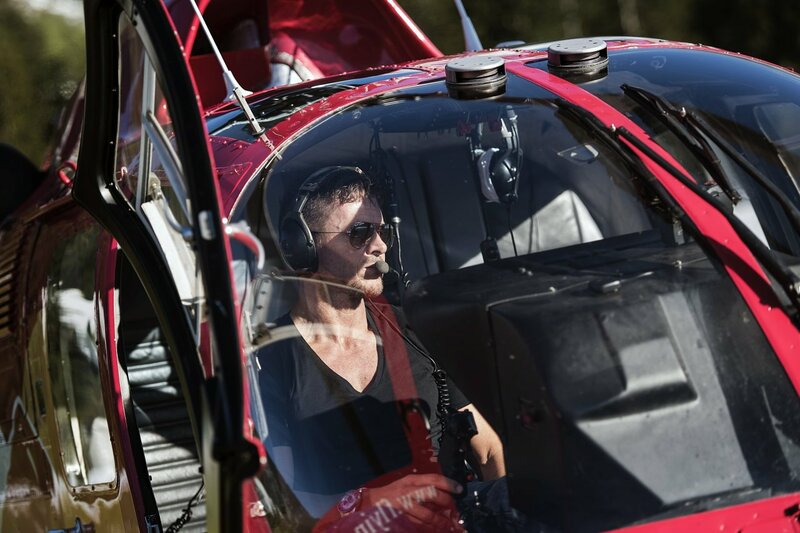 Felix has been in demand all over the planet, from giving keynote speeches and doing magazine cover shoots to piloting helicopter flights for athletes and VIPs at sporting events. As always, he continues to challenge himself: this year he took on the 24 Hours Nürburgring auto race with Audi Race Experience. 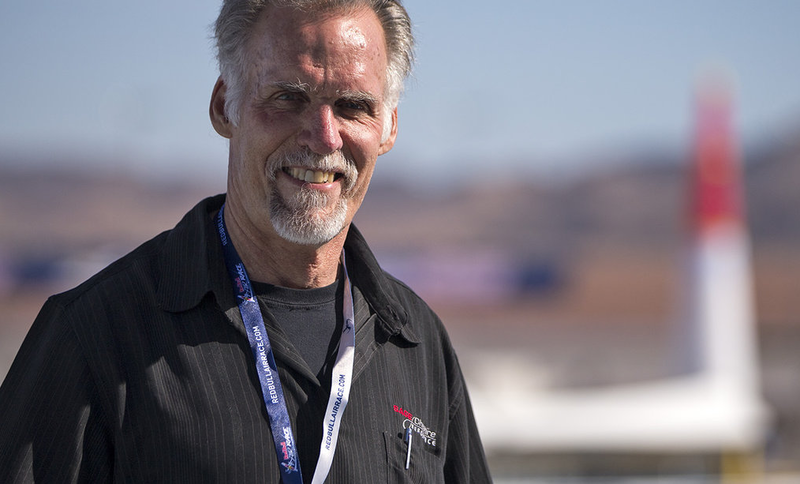 “I really miss my Red Bull Stratos team, because without them I would have never been successful!” Felix says. So where are they now? Mike Todd, the life support engineer who got Felix suited up for every mission, has been giving presentations, and he took care of that suit throughout a museum tour that finished up at the Smithsonian Institution, where Felix’s equipment is now part of the permanent collection on display in the Udvar-Hazy Center. We caught up a few other team members in person to find out what they’re up to. 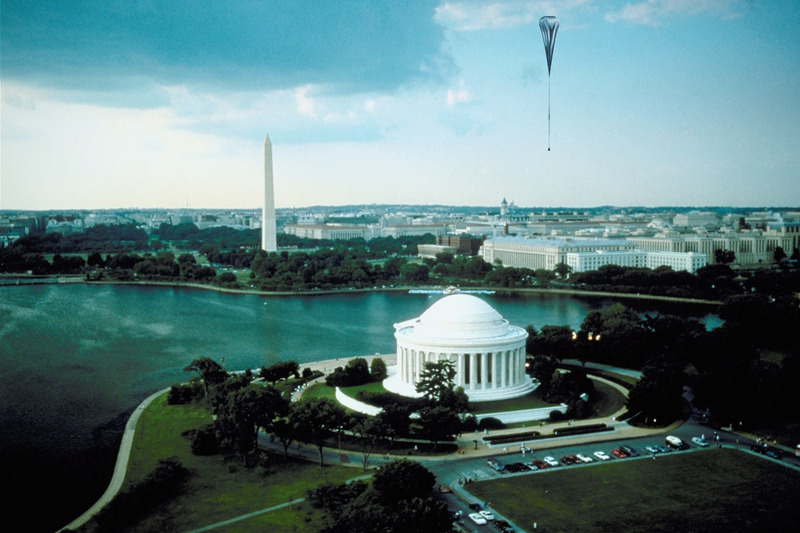 The Smithsonian’s National Air and Space Museum is the next stop for the Red Bull Stratos exhibit where it will find it’s permanent home. 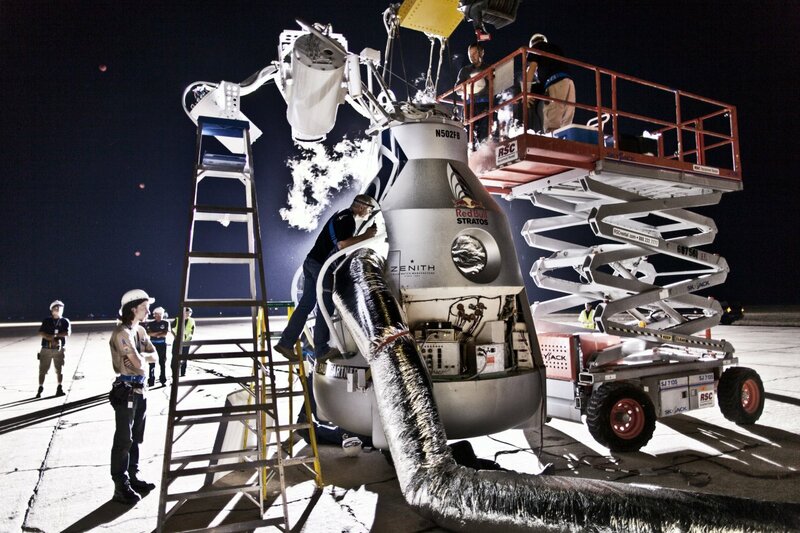 Patrons will be able to see the equipment used in the mission, including Baumgartner’s space suit and 3,200-pound capsule. Public Hours: 10 a.m. – 5:30 p.m. daily with extended hours as part of the exhibition’s run. Or follow @redbullDC on twitter and instagram. 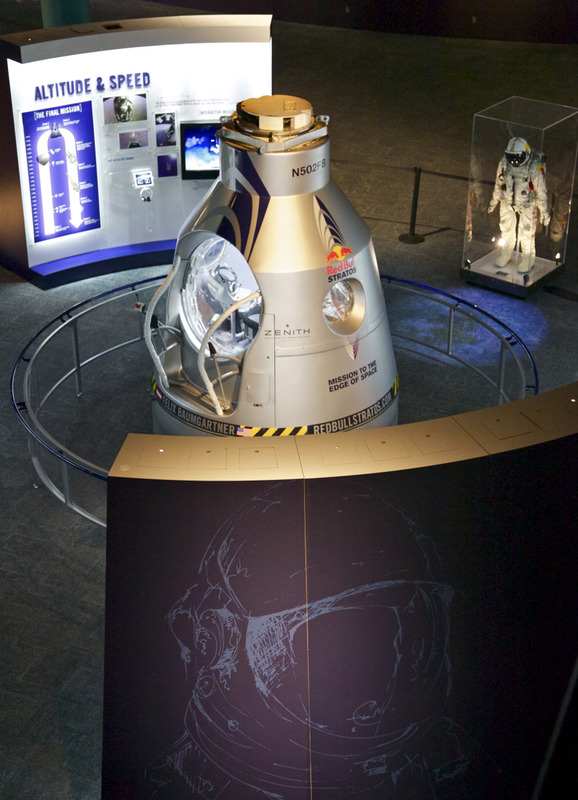 The Red Bull Stratos traveling exhibit continues this month in Dayton, OH at the National Museum of the US Air Force (NMUSAF). 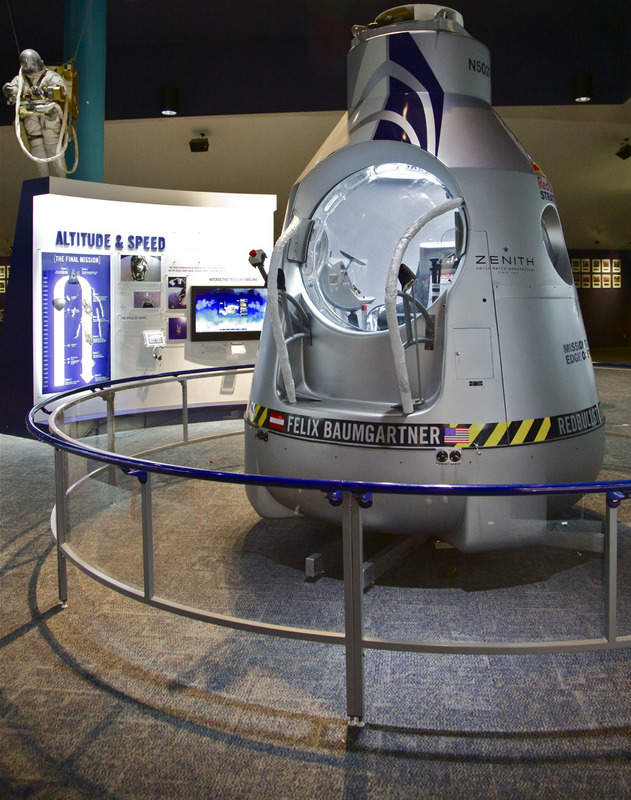 This unique tour stop is home to several artifacts from Colonel Joe Kittinger’s original gondola space missions; including the Stargazer and Project MANHIGH. Dating back to 1923, NMUSAF is one of the world’s oldest and largest military aviation museums with more than 360 aircrafts and missiles on display. It also is home to several Presidential aircrafts, including those used by Franklin D. Roosevelt, Harry Truman, and Dwight D. Eisenhower. 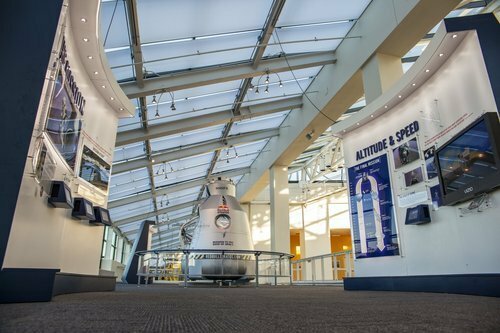 The Red Bull Stratos Exhibit will open on same day at the National Museum of the US Air Force (open free to the public daily from 9am-5pm). 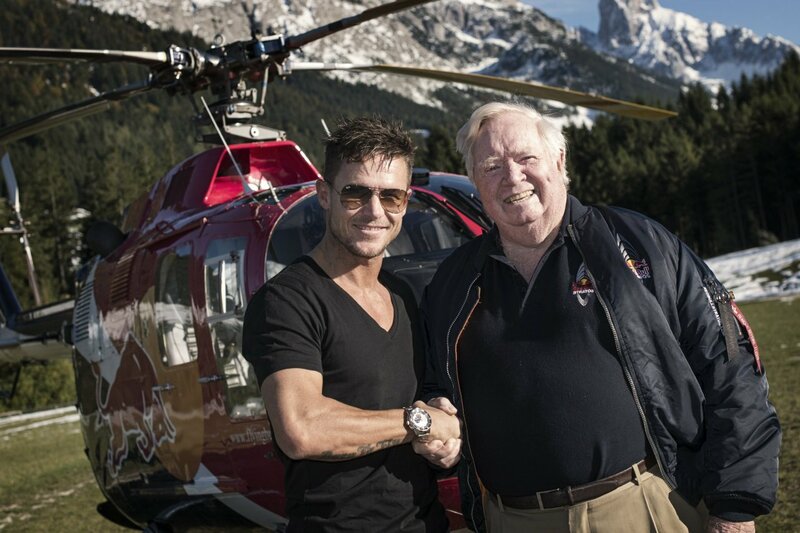 October 14 is the one-year anniversary of Red Bull Stratos! 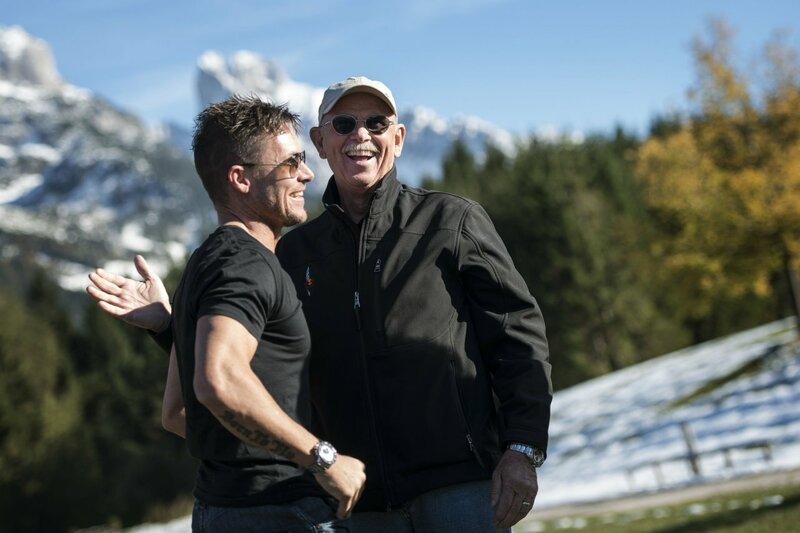 And the experts from the mission team have flown 5,000 miles to Felix Baumgartner’s birthplace of Salzburg to celebrate that memorable day. 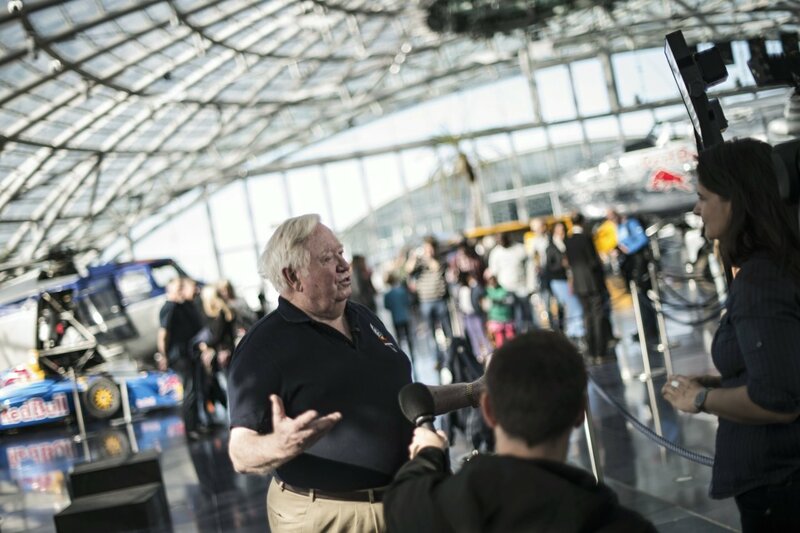 Felix is welcoming Joe Kittinger, Art Thompson and Jon Clark – among others – back to his hometown, with special events like a tour of the Red Bull Stratos exhibit at the Hangar-7 aircraft museum and a day-trip to fantastic Alpine destinations. 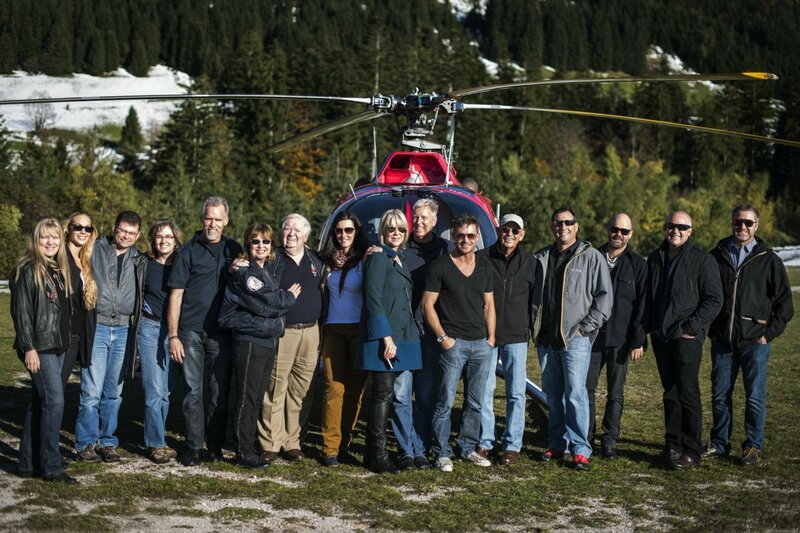 Felix even personally piloted an airborne tour of the region for Joe, Art and Jon in his helicopter. After more than five years of devoting themselves to the challenges of a supersonic dream, these hard-working experts have definitely earned some celebration! When the jump was successful last October, the mission was still far from over: Felix has been on the road sharing his experiences with people all over, while the other team members have been sharing, too – analyzing the data and presenting the results to aerospace researchers. Even though they’ve had 12 months to reflect on the experience and what it meant to them, this celebration in Salzburg is a rare and wonderful occasion to come together as a group with Felix to look back and discuss their insights and emotions. Felix and the team were able to relive that historic moment one year ago, and many others from the mission’s five-year development, during a special preview screening of the new documentary “Mission to the Edge of Space: The Inside Story of Red Bull Stratos.” Beginning Oct. 14, the one-year anniversary of the jump, the rest of us can watch this new documentary, too. 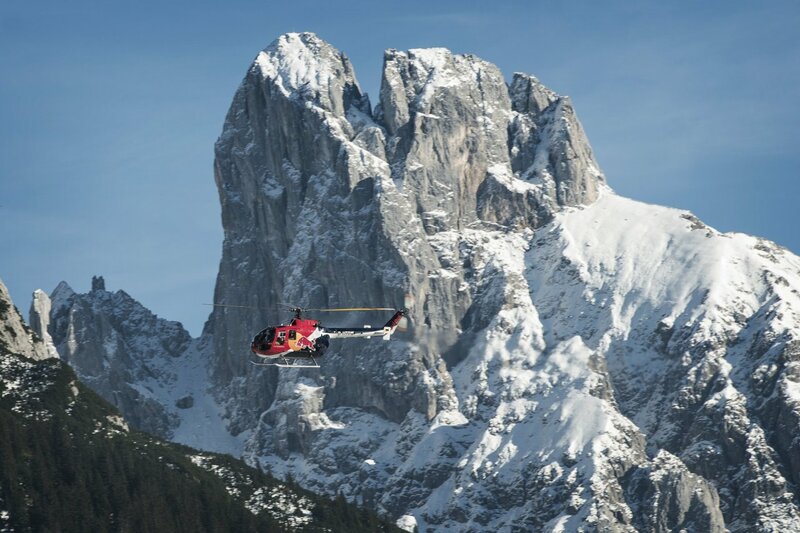 It features lots of never-before-seen interviews with the team and all the ups and downs of the mission’s preparation and, eventually, success – including Felix’s own POV during freefall. This amazing film is available to watch for free, exclusively on web music service Rdio. Check out rdio.com/redbullstratos.